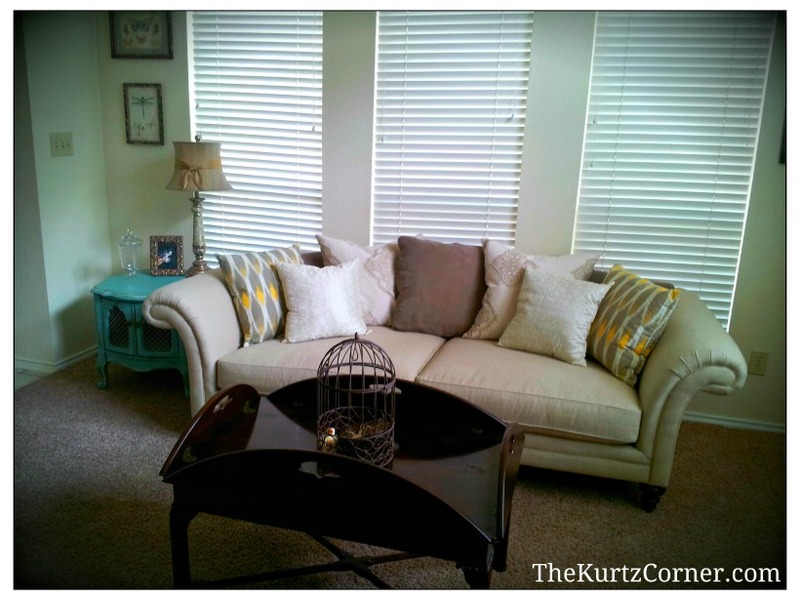 The Kurtz Corner: Sitting Room Halfway Reveal!! Well, I just couldn't stand it any longer!! I am still waiting on my two custom sitting chairs but I just couldn't wait to share what I've completed in my new sitting room! It only took five months but I finally got the most of it put together. It took many hours of antiquing and shopping...but hey, that's alright with me! I just wish I would have had this all done when HGTV was filming our closing episode scenes. I still need a few things like a rug and of course my two sitting chairs but I feel like I have begun to capture my vision of shabby chic! What do you think? For my sitting room I decided to go with a aqua, cream, brown and yellow color palette. Mostly earth tones with pops of aqua and yellow. I found this couch at Stacy's Furniture and fell in love the whimsical curve of the couch arms. It is one of the few things in the room that is not an antique. An antique table my mother found at a garage sale. Since this picture I have added green and brown moss to fill the bird cage and prop up the nest and bird. 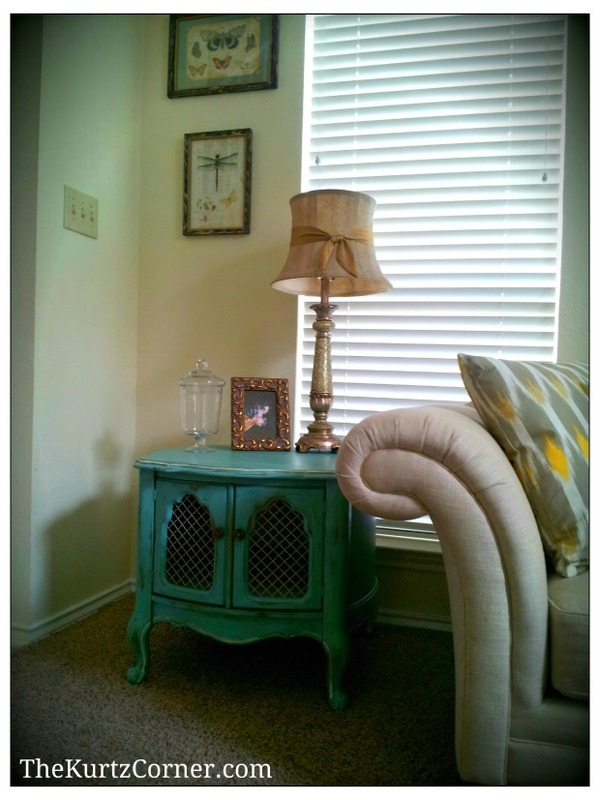 I say the shutter are my favorite but this little end table gives them a run for their money! This is also an antique I found at my downtown square that has been redone with paint and wiring on the door...perfect for my little shabby chic sitting room! Now all that is left is the rug and my two sitting chairs. I'll be sure to share when they finally come in and my room is complete! Love your colors. 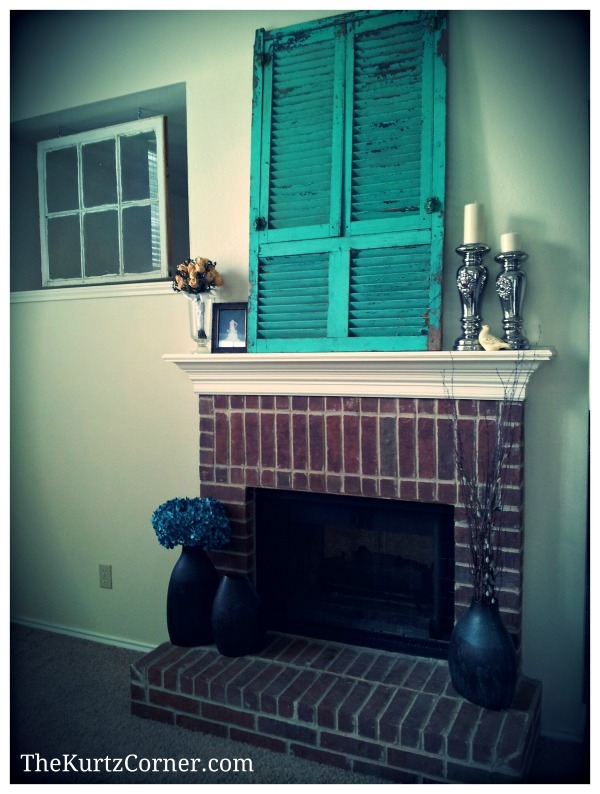 The end table and the shutters are amazing. It looks darling. The special unique touches make such a difference. Love the colors! So glad to have you here :) Have fun antiquing! Gorgeous! 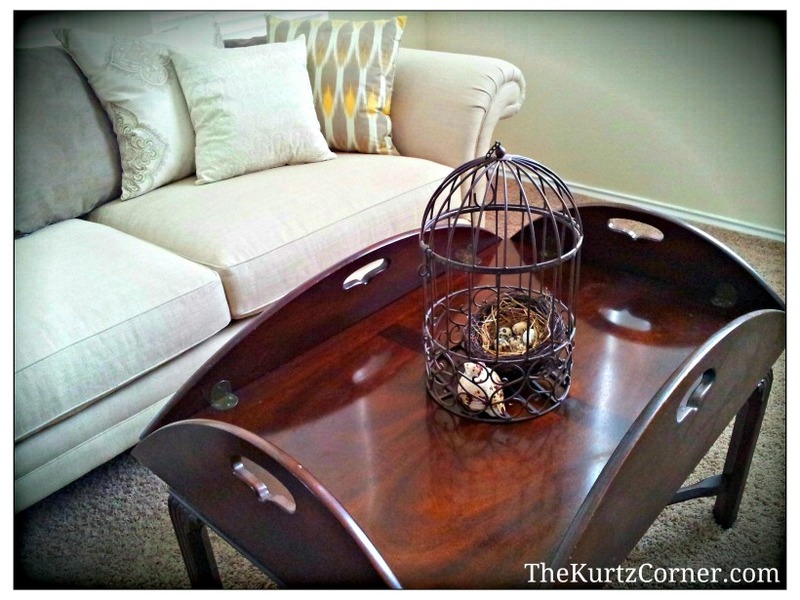 Really love the color and wiring on the end table that was redone. 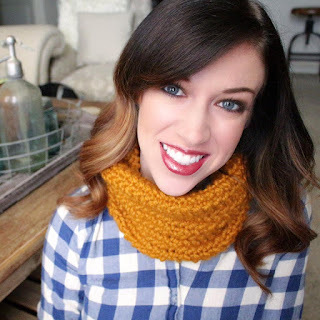 Has your showed aired on HGTV yet? Love it!!! It is perfect as a sitting room. I would want to sit in there for hours...looks so cozy and peaceful! That looks awesome!! I LOVE what you did with the shutter.